This is Part I of a series about building your brand awareness online and leveraging these insights to open your first retail store, commonly known as Clicks to Bricks. There have been numerous articles about the “retail apocalypse” describing how many mainstream retailers are struggling. However, retail is not dead. Mediocre retail is dead. Retail is changing, and I have seen many small businesses succeed in this environment. How do you build a successful retail business in this environment? One strategy is to establish a strong online presence. This strategy is relevant if you already have an online store, a physical store, or you have not launched yet. Regardless of the stage of your business, building an online presence will benefit your business and has many advantages. You can test concepts online quickly. You can iterate quickly. 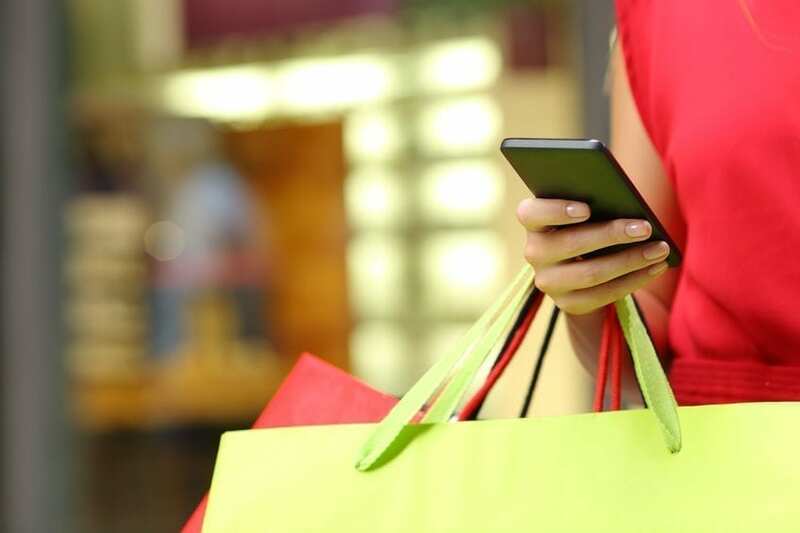 You can leverage your user data to be strategic and targeted with your physical retail location, assortment, and in-store experience. Also, you can leverage your brand following to negotiate rent concessions with your (future) landlord who may value foot traffic and a loyal fan base. You must have a compelling and authentic story to tell. Find something meaningful to you and your target customer. Focus your marketing efforts on this cause — whether it is a local issue, political belief, sustainability, or some other cause. You must be passionate about the cause because consumers quickly sniff out inauthenticity. Younger consumers, in particular, tend to shop brands that make them feel good about their purchase, whether it is sustainability, a relatable founder, brand story, or great value. These younger consumers are gaining purchasing power and shifting worldwide purchasing trends. Some brands that share compelling messaging are Lingua Franca, which sells cashmere sweaters with political sayings focused on women’s rights, or Nike’s campaign with Colin Kaepernick, which created $6B in value. Tone, font choice, and imagery are all essential ingredients in crafting your brand identity. Be clear and consistent. Trader Joe’s decided to be quirky and fun in response to Whole Foods’ more serious tone. It is a clear brand differentiation that is amplified in all aspects of the experience: Hawaiian shirts, colorful packaging, and friendly staff. Find a brand muse and ask them to filter all copy, font choices, imagery, and marketing assets. Your muse can be a real person or an imagined one. It can be you! Your muse can be customer facing, or internal only. The purpose is to craft a consistent brand identity that would resonate with this muse. Start blogging. Take photographs. And if you can’t take beautiful pictures, hire someone who can (or learn how yourself). Post on social platforms. Get an email cadence going. Content is king, so it must be high-quality content that people want to read, see, and share. There is a saying that if a tree falls in the forest, no one hears it. This could not be truer for a new business, and you will need to allocate a budget for marketing. Start within your own network. This is not scalable, but it is free and an excellent way to get initial traction you can iterate upon. Then expand beyond that to paid options. The paid possibilities are endless: Instagram, Facebook, Google, Influencers, Podcasts, Amazon, subway ads, billboards, and partnerships. Be cautious, as some can be expensive, most notably Facebook Ads where pricing has increased over time. Run small tests and adjust as you learn what drives profitable user growth. Incorporate these four tactics, and you’re on your way to building an engaged and loyal consumer base. In my next blog post, I will discuss how to leverage your online following to launch (or expand) your brick and mortar strategy. We will consider this and more in Part II of this series. Finally, if you need help preparing a business plan for your consumer product or service company, please feel free to reach out! Stephanie Tolosa is the Chief Operating Officer at Skylight Studios, a venue development and creative agency with locations in NY, SF, LA, and Chicago. She has spent her entire career in strategy & operations, including roles at Bain & Co, One Kings Lane, General Mills and Iron Mountain. She has a MBA from the Amos Tuck School at Dartmouth College and a BA with distinction from Yale University. View details. next post: Investor Interrogation: Can You Take the Heat?